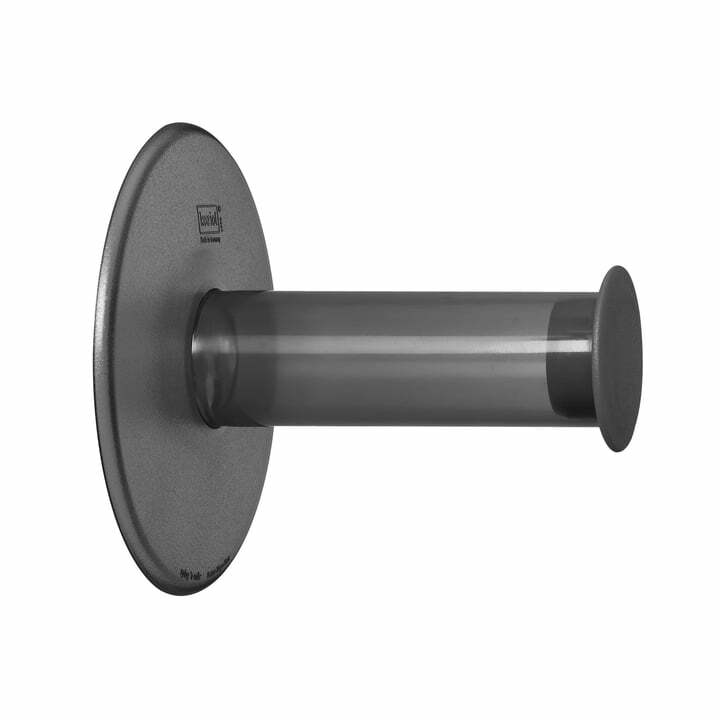 The name of the Plug'n roll by Koziol reveals it all: The toilet paper holder can simply be pressed on the wall with its strong suction cup, and as easy as that it will dispense toilet paper. Mounting doesn't take much time because of the suction cup, without the need of drilling in the wall. 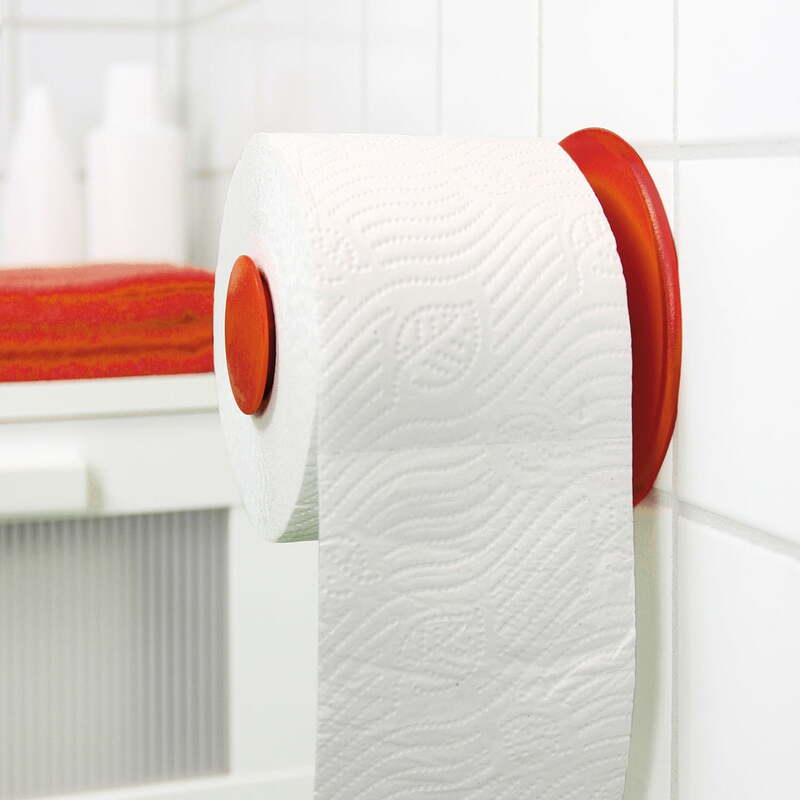 If required, you can thus also always reposition the toilet paper holder without any problems. Plug'n Roll by Koziol is available in different colours - so you can individually select whether the toilet paper holder in the bathroom should set colourful accents or disappear discreetly in the background. Plug'n Roll can easily be combined with other elements of the Koziol bathroom series in order to create a harmonious landscape. 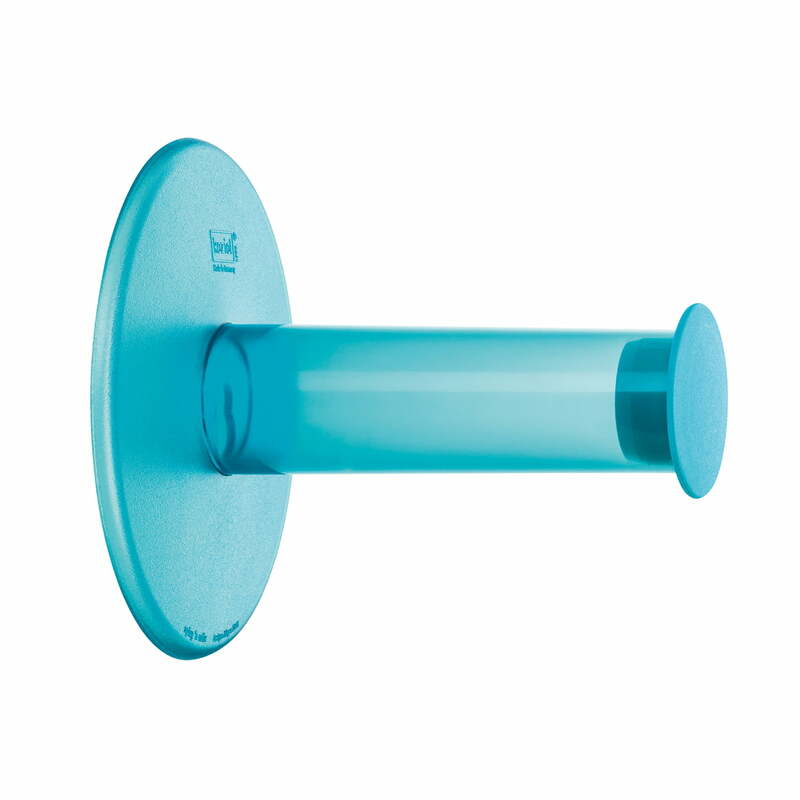 Individual product image of the Plug´n Roll Toilet Paper Holder by Koziol in transparent Turquoise. The toilet paper holder allows to be attached to the tiles with the help of a suction cup. The Koziol bathroom accessories fit in every bathroom because of the balanced colours of all the pieces of the collection. 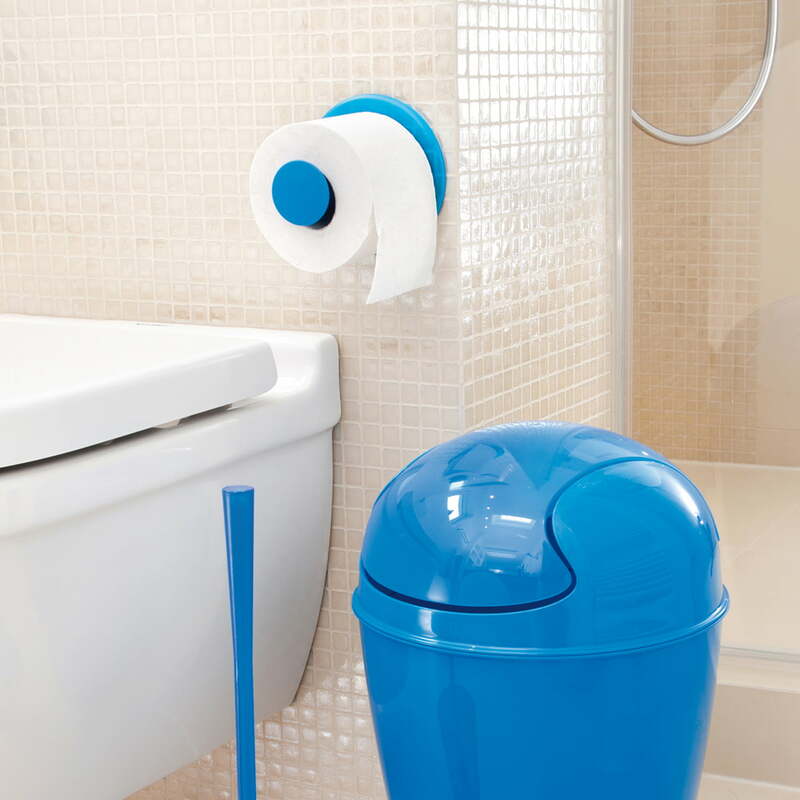 The toiled paper roll holder Plug´n Roll, dustbin and toilet brush in fresh design.